With the launch of Google play store and loads of available free android games, there have been a recent escalating numbers of gamers who have added themselves in the domain of gaming. Not only it was a great platform for developers all across the world to explore and shape their imagination into gaming added a sub genre of video gaming which included strategy and planning named as Tower Defence Games. Tower defense games gained a hike in 2009 and are still in trends as more number of gamers are added every day. The only thing in a video game that attracts a gamer is mainly affected by the quality of graphics and animation. Where some of the games do have a great concept but lacked in animation failed to keep up in the queue of competition there were some which are on the hike till time and have become irreplaceable. So today here we will be covering some of the best tower defense games which you can play on any android device and iOS devices too. If you like games which require planning and building up strategy then you might end up playing tower defense games too. The games that we have covered are best tower defense games for android devices which are free and paid both. So suit up according to your requirements there are some games which have both paid as well as free version but the difference is not in the quality of animation but the different levels and some extra power benefits. In case you can go for paid version we have sorted some awesome paid tower defense games too. 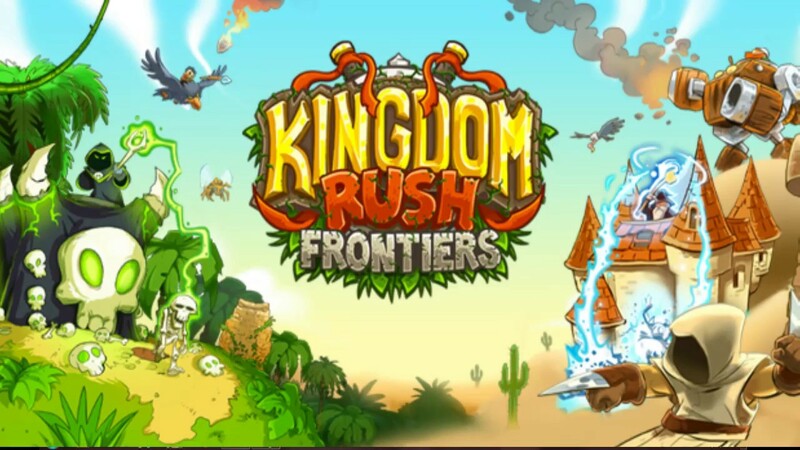 Kingdom Rush is one of the most addictive games in tower defense category. It has always made a comeback with a different version which brings along curiosity for its existing players. 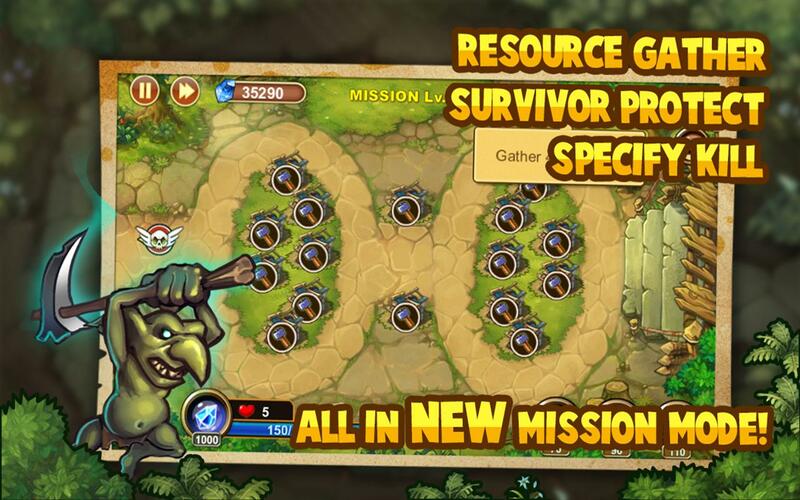 With its grand comeback in this version names Kingdom Rush it is much bigger and devilish then its was ever before. With a great hit comeback, it has been also awarded as one of the best tower defense games, this is a sequel gaming. Here you can order your troops how and when to attack to defend your land from dragons, underworld’s ghastly denizens, and man-eating plants. Sounds scary but is fun as hell once you start playing. With some of the highlighted key features, this game is fantastic. It gives you great strategy planning options with some useful stuff to manage power use like reinforcement, heroes, meteor strike and much more. It gives you great strategy planning options with some useful stuff to manage power use like reinforcement, heroes, meteor strike and much more. You can also fortify frontier in your new exotic lands with holding lines in the underworld, jungle, and even deserts. It has an ability for over 18 towers where you can unleash assassins, death riders, and pestilence clouds to kill all your enemies. Special features and units at every new stage don’t forget to watch out for black dragon. Tower Defence is yet another strong entry to a strategy planning video game genre. This has brought up tower defence to a whole new level of gaming. This game features special missions, 7 maps, and over 40 campaign maps. It has brought up some of the new themes like ice land, mountains, deserts, lava craters and some more. The story line is about surviving human life by finding a new planet since the earth is in great danger so you need to kill aliens who are residing in another planet which you want to make an alternative home other than earth. So the story line is kind of wicked but this game features special campaign, challenge, and campaign mode. All three modes give you a different start once you start playing. This game features impressive four game types which include defence, attack, gather and survive. Starting with defence which is most basic one where you defend your home base where you are building a palace to live from monsters. In attack game play mode you need to move your home base near your enemy towers the more time you take the more powerful your enemies become, so continuous attack skills are required here. This game features impressive four game types which include defense, attack, gather and survive. Starting with defense which is most basic one where you defend your home base where you are building a palace to live from monsters. In attack gameplay mode you need to move your home base near your enemy towers the more time you take the more powerful your enemies become, so continuous attack skills are required here. In gather mode, there are unlimited waves of monsters coming at you while you need to gather resources to build up your tower. The last one survives gameplay mode in which you have limited time to gather your resources and at the same time, an army of monsters will attack you as a wave hitting. Lastly exaggerating the special powers and weapons are bombers, nuclear blast, gravity shift, and poison gas. These special powers add a whole new meaning to this game. Castle Defense which is also known as castle TD has also become fun and addictive belonging to the same genre. The major feature of this game is that it can be played offline. There is also a paid version of this game but since its all same you can have all the fun in a free version as well. The main objective remains same like protecting your base from enemies which you can do by deploying defensive towers and upgrading those towers since these towers have limited range you can increase the range of these towers which will directly increase the number of enemies that can be killed by each tower, so you can easily deal in case of greater damages. If there is a wave of enemies coming to attack you, then you can deploy your warriors and also cast spell according to your health. Crystals are the main currency of this game. After completing each stage you will get crystals every stage completion provides a different amount of crystals so you can use these crystals and upgrade your towers and weapons and other stuff too. With three types of a warrior which are barbarian, paladin and wizards it becomes more interesting since you can deploy your warriors accordingly. The main resource here to build up a tower and upgrade it is wood. So before starting to any stage some specified amount of wood is provided to give you some initial powers. You can gain wood by killing your enemies. Each map has three available stages that you need to accomplish, the number of enemies are fixed at each stage so you don’t need to worry about an unlimited number of enemies attacking you. The graphics of this game is quite good and classy, it is important for any game to provide a clear view which it does. Lastly, it also has additional modes where you can increase difficulty levels and go for special missions. Overall it is a great offline tower defense game for android and iOS also. If you are already into tower defense games and you are bored of historic castle based games and space themes them you might actually love plant vs zombies. The arena much more looks like a garden where you can see some creepy zombies and some plants. So what is it actually? why not actual humans?. Now the basic concept of the game includes zombies and plants , where each zombie has its own set of skills and all you need to do is kill zombies before they reach your base. If they so reach your base then it’s a game over. So your play is a plant where you can use different plants like peashooters and walnuts which are capable of killing 26 types of zombies to keep your base safe. If they so reach your base then it’s a game over. So your play is a plant where you can use different plants like peashooters and walnuts which are capable of killing 26 types of zombies to keep your base safe.So if you have already played this game on PC then you might not like it. Because the graphics do looks a bit messed up on a small screen with the zombies crawling like cannibals and you are planting trying to guard your home base. Overall when it comes to music it is a bit bizarre so try keeping your sound low and you’ll get through it. 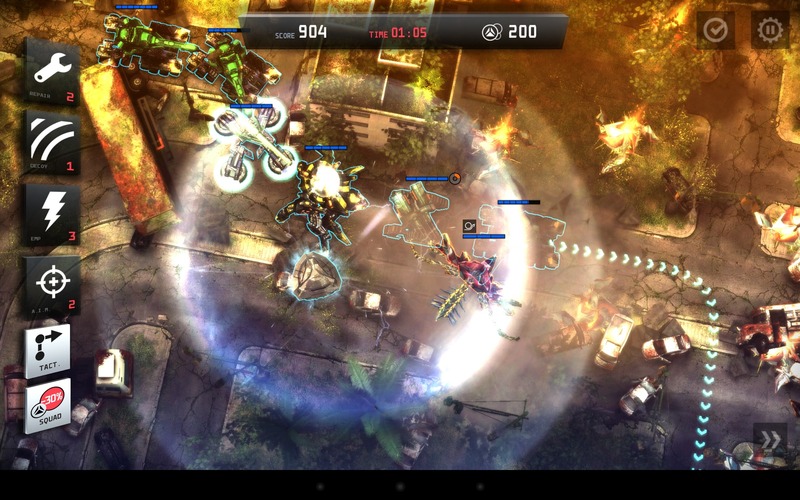 Another great addition to the series of tower defense game is Anomaly 2. With super graphics and a clear set of tactics available this series is much more serious than the previous version. The concept of the game begins with the story line where aliens attack the earth and after losing the war we are left with some creepers instead of towers. To keep them safe you have to be active enough probably more than the previous series. But the fun fact is the introduction of new military vehicles and tactics. There are options where you can also repair your vehicles if blown up. Overall it is much more like those space themed tower defense games. But for android, the graphics are really good and so does the background sound. Sometimes you might feel the screen being filled up with giant creeps and military vehicles attacking each other because this time you just can shoot and keep you head down hoping that they will blow up since the worst part is that they can shoot back at you. Each and every level brings some kinds of limitations and points. Since this game is not free and will cost you $4.99 but it is worth the cost. These were my top 5 tower defense games which we have described for you. Where some games are online and some are offline you can go through the games and choose accordingly. Most of these are free as well as will cost you but you can have all the fun in both cases. It all depends on your choice of the story line, if you are more into space based genre and love battles or wars then Anomaly 2 and Tower Defense Lost Earth are the best available choices. Being a historic and castle lover we have some options like Kingdom Rush and Castle Defense. 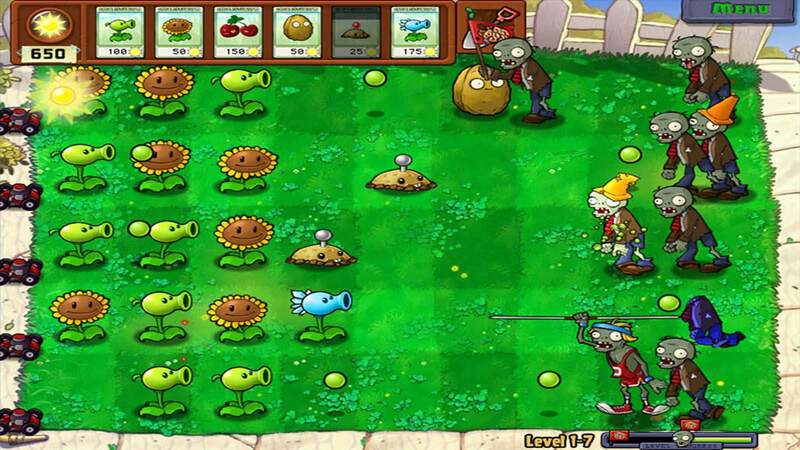 At last, we have Plants vs Zombies which features a completely different concept of plants and brain eating zombies. With this, you can plan your strategy since the main aim is to protect your home base from enemies using all the possible tactics to earn rewards and move to different levels.